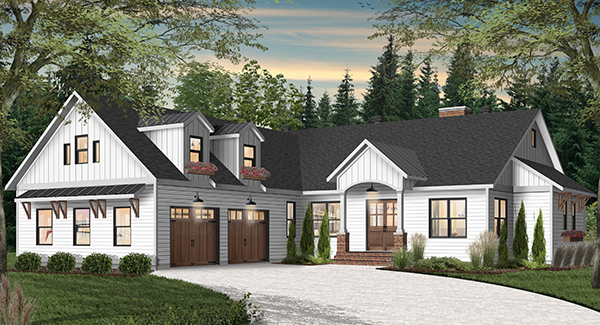 PLAN DESCRIPTION This brand new modern 3 bedroom farmhouse with 3,249 square feet of open living spaces and plenty of amenities, including a game room and flex space above the 2-car garage. 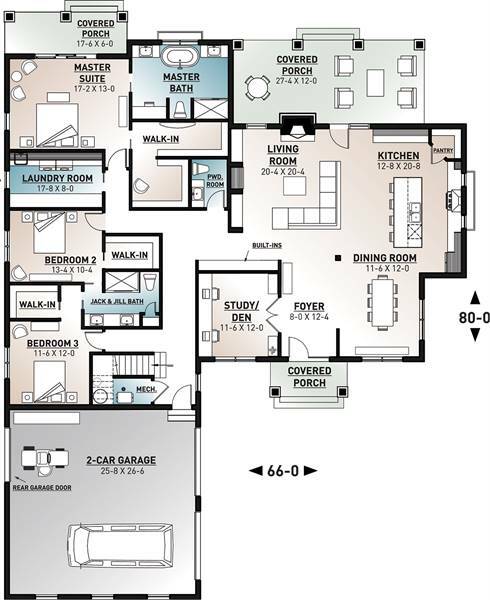 A study/den is conveniently located off of the foyer that faces a large living room with fireplace, gourmet kitchen with island seating for 4 and adjoining dining room. 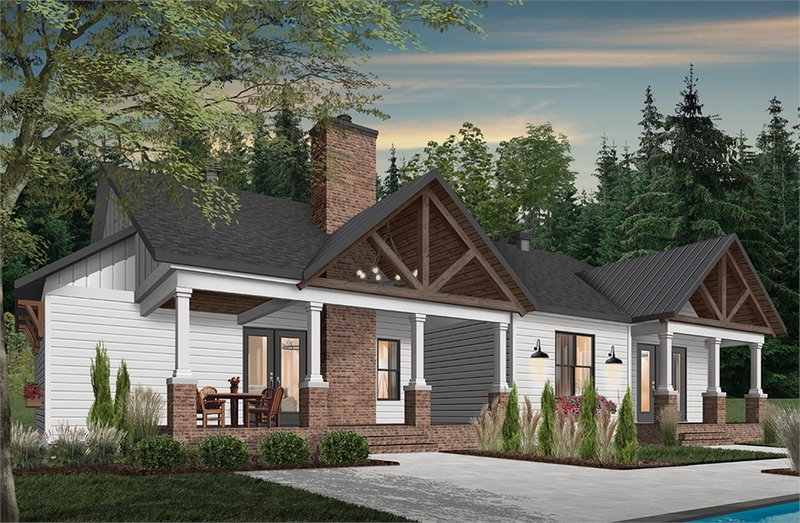 There is plenty of outdoor living space with a full-size rear covered porch. 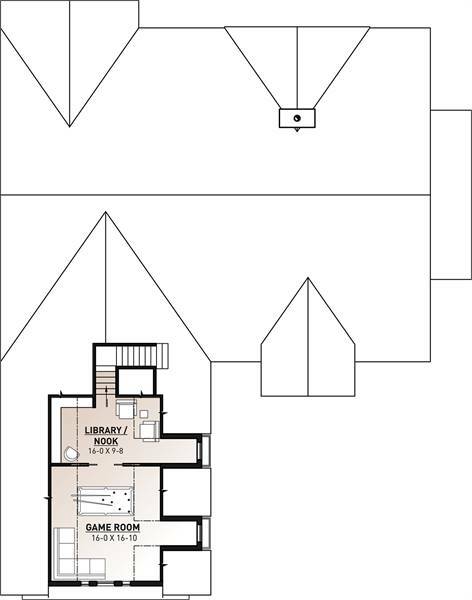 The left wing features a master suite with private covered porch and large garden tub. A laundry room is perfectly situated between the master bedroom and 2 additional bedrooms that share a jack-n-jill bath.